I don't know what's wrong with me this few day keep looking for snack. I can say after the durian monsoon over now I'm in junk food mode!! Yesterday after home dinner I automatic go looking for snacks again in the snack bucket. At first I'm eating the prawn cracker then I saw my kids they all having the japanese sea weed. Suddenly I have an idea what does it taste if this two thing mix together. 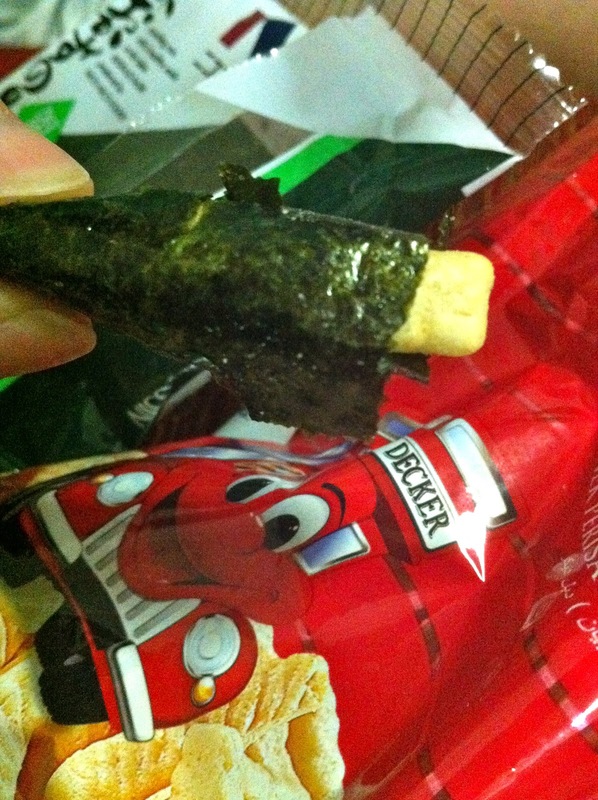 Then I roll the cracker with the sea weed I found this two things a matching mixing together!! Try it!!! 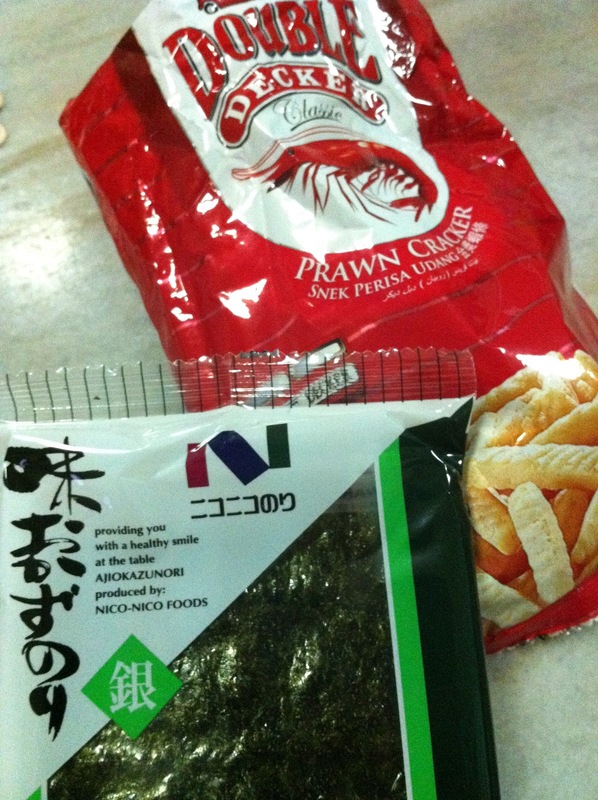 You'' found the sea weed turn become super crispy and the prawn turn more tasty with the sea weed!!! Try it if you are the person who like sea weed and prawn cracker. I suggest you buy the Yellow packing prawn cracker I think is more yummy!! !